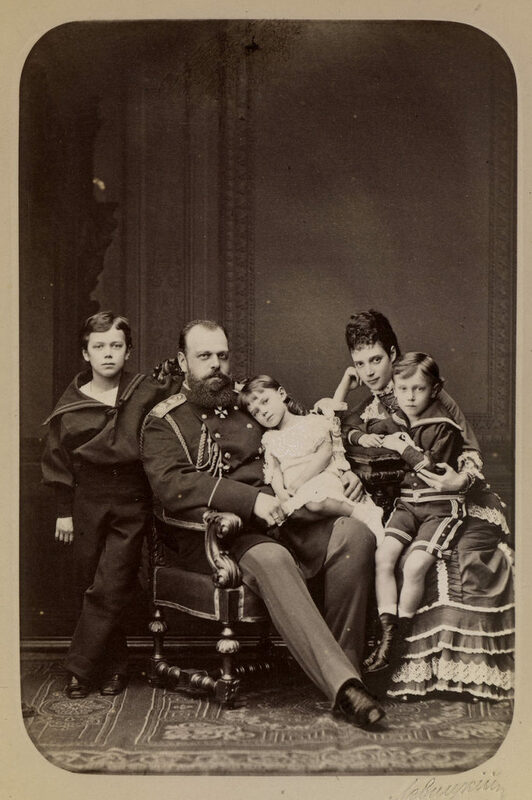 Alexander III was the second son of Alexander II and of Maria Aleksandrovna (Marie of Hesse-Darmstadt). During the first 20 years of his life, Alexander had no prospect of succeeding to the throne. His training and acquaintance was with French, English, and German, and military drill. When he became heir apparent on the death of his elder brother Nikolay in 1865, he began to study the principles of law and administration under the jurist and conservative philosopher K.P. Pobedonostsev. The tsesarevich Nikolay, on his deathbed, had expressed a wish that his fiancée, Princess Dagmar of Denmark, known as Maria Fyodorovna, should marry his successor. The marriage proved a happiest one. On March 13 (March 1, O.S. ), 1881, Alexander II was assassinated, and the following day autocratic power passed to his son. 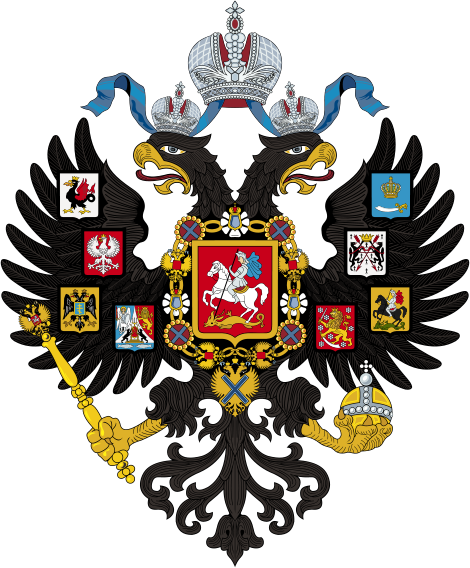 Alexander III political ideal was a nation with one language, one religion, and one form of administration, he sought to strengthen and centralize the imperial administration. Members of the Imperial Family meeting with students of primary schools and gymnasiums. Emperor Alexander III, Empress Maria Feodorovna, group of military ranks during a dinner in the forest. A group of officials, Members of the imperial family in Spala. 1890. Emperor of Russia Alexander III in "vatnik"
Emperor Alexander III on his deathbed.